A new, and unexpected, venue for the visual arts opens its doors on May 19th for an exhibition which threads together traditional and contemporary art. 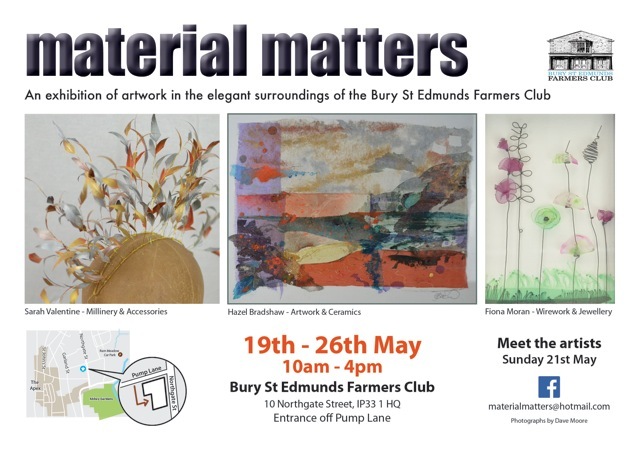 From the 19th to the 26th of May the Bury St Edmunds Farmer’s Club will host Material Matters, a collaborative exhibition by artists Hazel Bradshaw, Sarah Valentine and Fiona Moran. Art and ceramics, millinery, wirework and jewellery all feature in the exhibition which is open from 10am until 4pm daily. 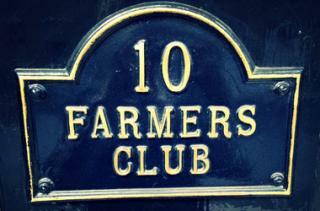 Should you wish to find out more about the processes and inspirations behind the work then there is a chance to meet the artists on Sunday 21st, when all three will be at The Farmers’ Club from 10am until 4pm.